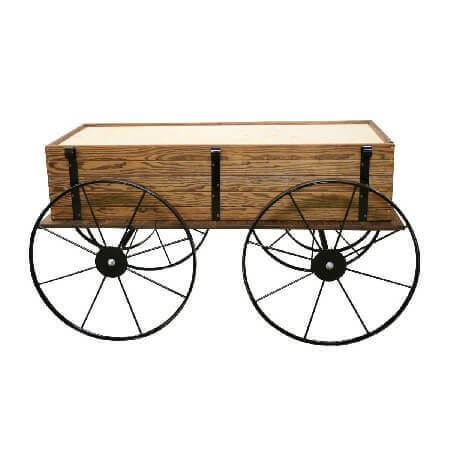 This decorative Planter Wagon is made of thermally modified wood that is stronger and more durable than regular plain wood. 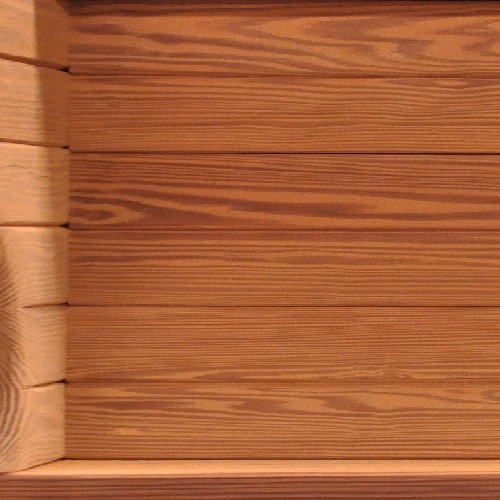 Display your products in one of these full-sized heavy duty wooden store displays and attract more consumers while they are window shopping. 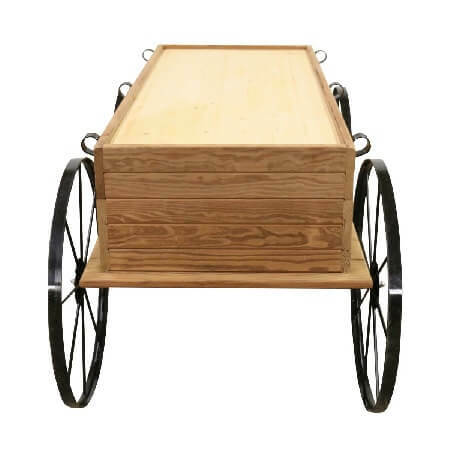 This portable Planters Wagon can also be used as an above-ground garden. Add an optional Filter/Overflow Kit to make your garden suspended over a fifteen-gallon reservoir of water. 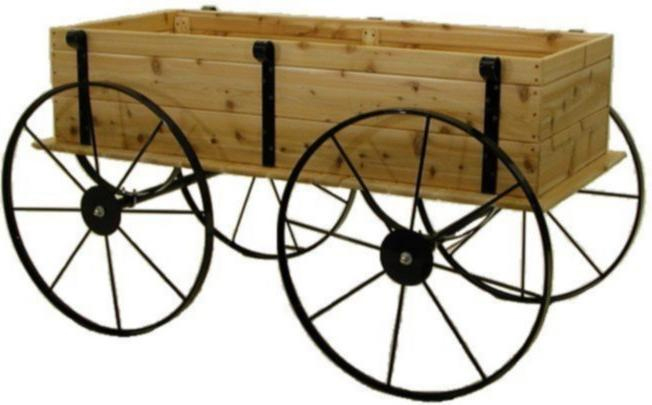 This wagon display is able to hold up to 800 lbs. 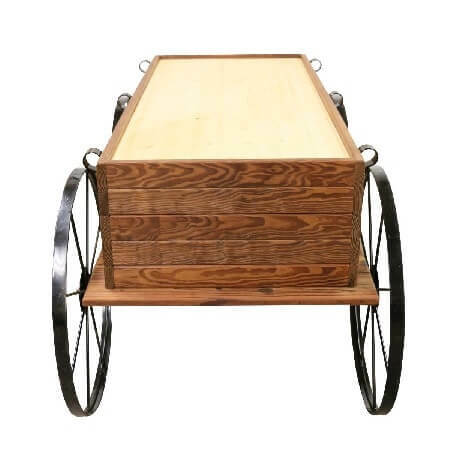 All metal parts are powder coated black for extra durability and equipped with movable 30" wheels. Take a chance on increasing your sales today and order your western style planters wagon today! 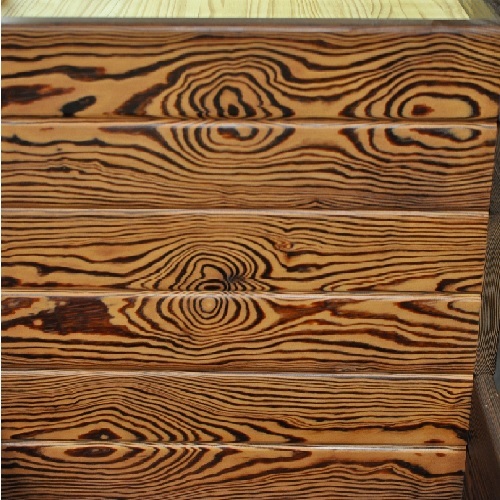 Inside Box: Length 72" - Width 30"